Donna Worrell is the Human Resource Manager at Vemco with over twenty-five (25) years’ experience in both the Energy and Manufacturing sectors, a BSc in Industrial Management, and extensive experience in the HR arena. 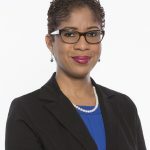 In the past, Donna worked for the Bermudez group, managing five companies across three countries in the CARICOM region; collaborated with colleagues in BP Global on Talent Development Programme (High Potential Programmes, Graduate Development (Challenge) Programmes, Leadership Development, Succession Planning, Discipline Networks); led the BP Trinidad and Tobago (bpTT) Service Delivery Team focusing on process and service improvements in the areas of Purchase-to-Pay, Boat and Helicopter Logistics, Contracts Administration and Procurement; just to name a few. Ensuring alignment of the HR Function with the strategic demands of the business is core to her approach to Human Resource Management. Donna is dedicated to helping others succeed through on-going coaching and development. She takes seriously her responsibility to develop future leaders of a business and to build the capability of members of the Human Resources Function. 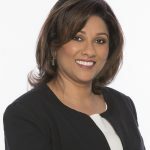 She has a unique ability to effectively balance the commercial and operational demands of a business while placing utmost importance on treating staff at every level in the organisation equitably and fairly. Donna is a firm believer in people and the great function they play to ensure the success and longevity of a company, hence, she delights in working in this position as she gets the chance to take care of the staff and their needs. She is very passionate about her family and is a lover of arts & culture.